Pope County Museum A-Z is a continuing feature of our blog. Periodically, I will highlight an item or items from our Museum collection. 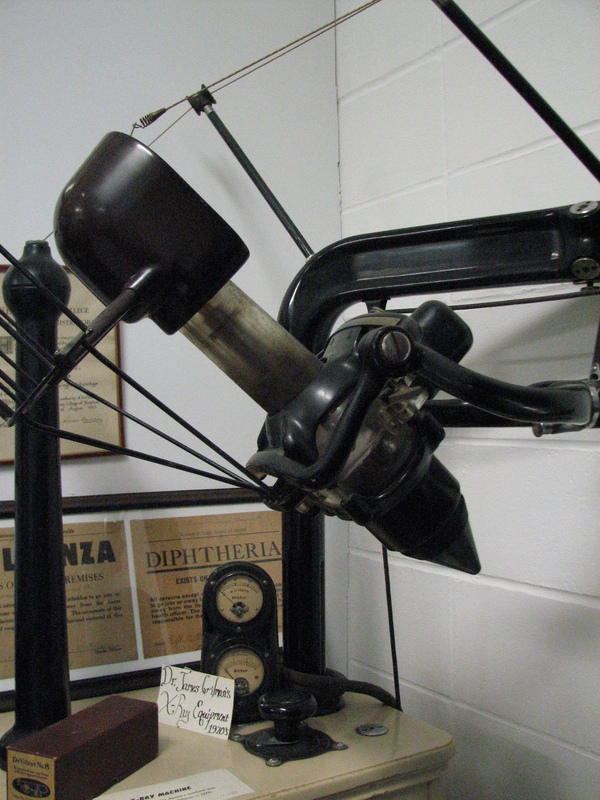 Today’s item is a Ritter Model A Dental X-Ray. It was developed in 1920 and manufactured until the 1930s, when a newer, safer model was developed. 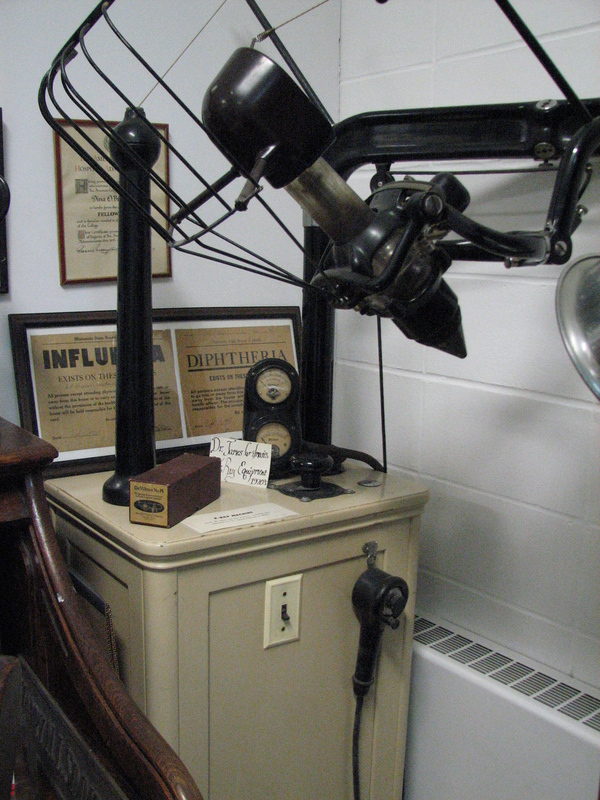 This particular x-ray machine was used by Dr. James Gilman in Glenwood. Dr. Gilman grew up in Willmar and came to Glenwood in 1946 after spending 3 years in the Naval Dental Corps in WWII. This entry was posted in Collection Notes and tagged A-Z, Dental x-ray, James Gilman, museum collection, Pope County Minnesota, Pope County Museum, Ritter X-Ray, vintae dental equipment. Bookmark the permalink.